What is a scholarly, peer-reviewed journal? For college or post-graduate level research, you'll be expected to know about and use peer-reviewed sources, such as articles from scholarly journals. In a scholarly journal, articles submitted for publication are critically reviewed by other scholars (peers). These reviewers might reject the article, or require that the author make corrections before the manuscript is accepted for publication. The peer-review process helps ensure that only high-quality, accurate articles get published. The "peers" who evaluate articles are called referees; sometimes you will hear the phrase refereed journal rather than peer-reviewed journal -- but they mean the same thing. See below for advice on how to confirm that an article has been peer-reviewed -- remember that just because a journal is peer reviewed does not guarantee that all articles in it are peer reviewed. Usually only the articles reporting on new research findings are peer reviewed. 1. Do a Google search for the journal's website and then look for information on the site about whether the journal has a peer-review process. You might need to check for links to "Author Guidelines," or "Instructions for Authors," or "About this Journal" to see whether a peer-review process is mentioned. 2. Look up the journal title (not the article title) in UlrichsWeb Global Serials Directory. Once you find an entry for the journal title in UlrichsWeb, look at the symbols on the left. 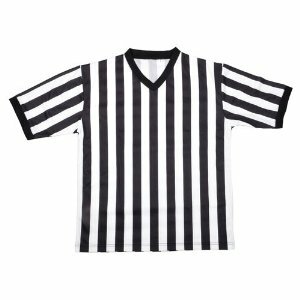 If you see a symbol for a referee shirt like those worn by sports referees, this means the journal is refereed, which is another way of saying it is peer reviewed. articles reporting on original research -- these articles usually include the following elements: Abstract, Introduction, Methods, Results, Discussion/Conclusions. articles providing a review of the current state of research (these are called review articles); these articles are often several pages long or longer and tend to have large bibliographies. Why are some of the articles in a peer-reviewed journal NOT peer-reviewed? The peer-review process take a lot of time and effort, so it's reserved for articles where accuracy is essential -- reports of new and original research, or summaries of research. Other researchers are going to use and build upon the data and information reported in those articles, so it's important that it is accurate. For articles such as book reviews, accuracy is not as important (after all, book reviews and editorials are highly influenced by personal opinions). Therefore, these articles are checked for grammar by an editor but don't undergo the rigorous peer-review process.